When you come to worship on Sunday mornings, who is the first person to greet you at the door? Often, it’s a Greeter. This important role in the church provides a warm and welcoming reception to members and guests and is a first impression to new visitors. According to Diane Ford, JCUMC’s Greeter Coordinator, being a greeter is easy. If you have a great smile and enjoy welcoming people, you should consider volunteering for this vital ministry. All that is required is the desire to make people feel comfortable in God’s house. Greeters volunteer once a month, and Diane is flexible scheduling around times that someone is not available. Here at Johns Creek UMC, role of the traditional Sunday morning door opener has expanded to include welcoming at the soccer fields on Saturdays, the basketball court on game days, concerts, funerals, and just about any large event that is held on the campus. 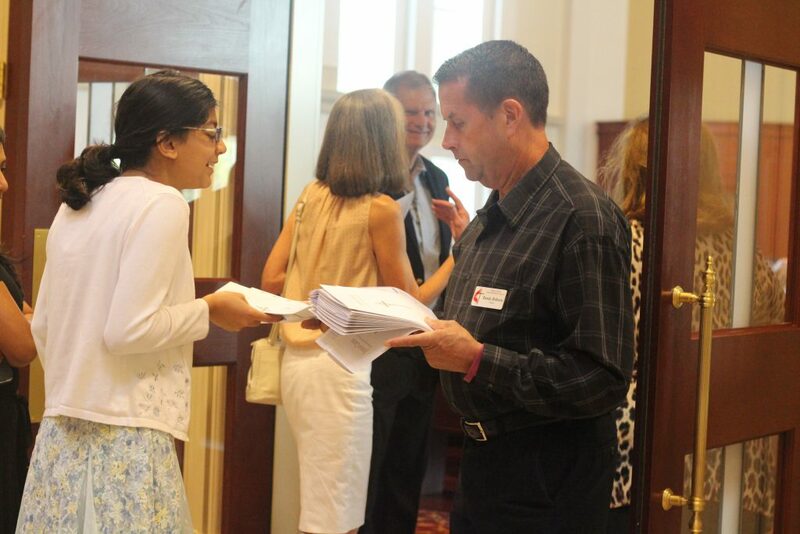 If you are interested in learning more about how you can join the Greeter Corps, contact Diane at dianefd@comcast.net or connect@johnscreekumc.org.